In celebration of trees and woodland, we are supporting London Tree Week (27 May – 4 June 2017), with the help of the Mayor of London. Just over 150 years ago, poet and novelist Thomas Hardy while working as an architect’s technician was in charge of the excavation of the graveyard in Old St Pancras churchyard, arranging for the removal of gravestones so that work could continue on the London & Midland railway. The gravestones were leant up against an ash tree. 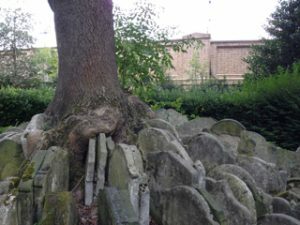 Over time, the tree roots have enmeshed the gravestones, creating an extraordinary feature. Starting at Kentish Town station, our route will in places follow London’s hidden River Fleet. This photography walkshop will explore other unusual trees in the vicinity and seek out significant trees that Thomas Hardy himself would have seen. The finale of the walkshop will be encountering the ‘Hardy Ash‘ in Old St Pancras Churchyard. Working with Peter Coles in delivering this participatory walkshop. Urban nature writer and photographer, Peter is Visiting Fellow and tutor at Goldsmiths, and a specialist on London’s mulberry trees. Peter has been co-creating intriguing Stalking Trees walkshops with the Museum of Walking for several seasons. Madeleine Hodge, Project Manager of The Ash Project, from Kent Downs Area of Outstanding Natural Beauty. The Ash Project is an urgent cultural response to the devastating effects of Ash dieback. The Kent Downs are coordinating artistic, conservation and scientific research to preserve memories of the tree in extraordinary and enduring ways for the generations who will live with the loss. This event will start at Kentish Town rail & tube station and end at Old St Pancras Churchyard (approximately at 2 hours later) – nearest tube Kings Cross. Booking is essential as numbers are limited. Suitable for Adults / Families – accompanied children only (participants to bring their own camera). We will be confirming your place the day before and offering it to a waiting list if we cannot obtain confirmation. 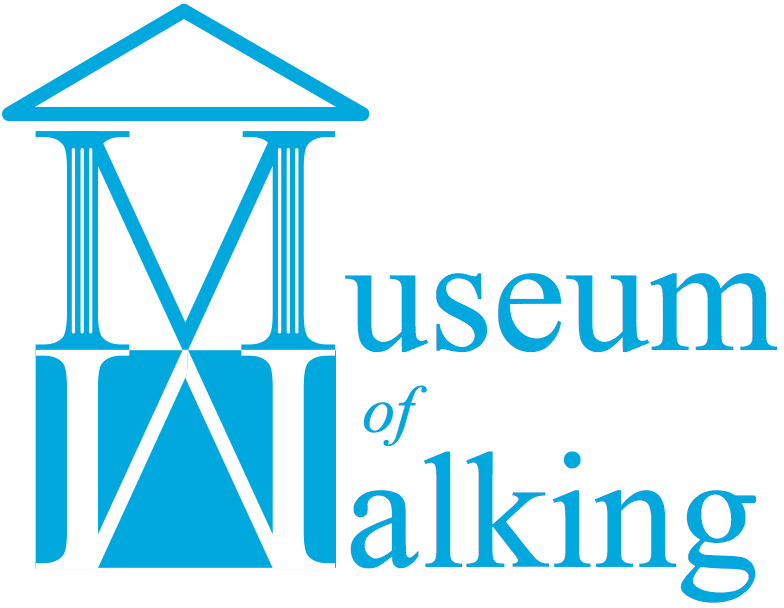 This free walkshop has been made possible through the support of the Mayor of London. For several years, we have been getting people to share their knowledge and stories about trees, and more recently, with the help of urban nature photographer and writer Peter Coles, we have been ‘stalking trees’ to discover more about individual species and specimen, and how they can be photographed in different seasons. Find out more here. Check out other walkshops that we are producing for London Tree Week. This entry was posted in London Tree Week 2017, Stalking Trees on May 31, 2017 by admin_MoW.